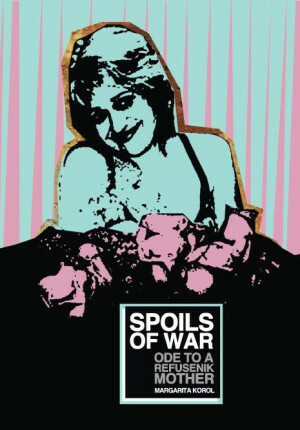 “Spoils of War: Ode to a Refusenik Mother” was originally published by Tablet Magazine on June 6, 2012 (bit.ly/spoilspoem), and the panels illustrating the poem were exhibited at New York City’s National Arts Club through the Russian American Foundation’s Russian Heritage Month. The poem is accompanied by a spoken word track over a mix tape in collaboration with Los Angeles musician Sam Barsh. At NYC’s KGB Bar December 26, 2012 for the release of Spoils of War, the book, Korol performed the poem over the instrumental track. At Brooklyn’s Time Out New York-picked Best Reading Series at Franklin Park Bar on February 11, 2013, Margarita performed the poem along with the video. As part of the 11th Annual Russian Heritage Month, Margarita was invited back to Manhattan for another exhibition of Spoils of War with multimedia elements, including the original posters and the looping video above. For the occassion, Margarita also painted six new paintings titled, “Heroes of the Refusenik Movement” featuring the Russian American Foundation’s Marina Kovalyov, President Ronald Reagan, and activists Susan Green, Malcolm X, and Natan Scharansky. Successfully meeting the Urban Pop Art Project’s goal of updating the refusenik experience in multimedia formats that would reach the widest variety of demographics, Margarita was presented with a Citation from Representative Helen Weinstein on behalf of the State of New York for the worth of her work as an Artist, Graphic Designer, and Writer to the State. Margarita Korol Spoils of War: Ode to a Refusenik Mother Margarita Korol is an urban pop artist, designer, and writer in New York City producing media in the publishing and public worlds including art directing, editing, and illustrating for several online and print magazines. Her writing, illustrations, paintings, and arts and culture propaganda are vibrant expressions of urban progress in directed contexts. 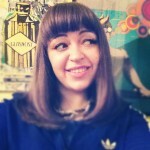 Born the week of Chernobyl in Ukraine to refuseniks, Korol’s focus on empowering individuals in disadvantaged struggles against their political systems is an ongoing theme in her work. Her most recent exhibit for Brooklyn’s ArtOnBrighton exhibition on the Coney Island/ Brighton Beach boardwalk featured a series of propaganda posters directed to the area’s SovJew immigrant community in Korol’s generation. Previously, Propaglasnost: The Transparency Projects series was on view at NYC’s KGB Bar May and June 2011. Meanwhile, her Berlin Wall installation Die Mauer is housed at Chicago’s DANK-Haus German Cultural Center.